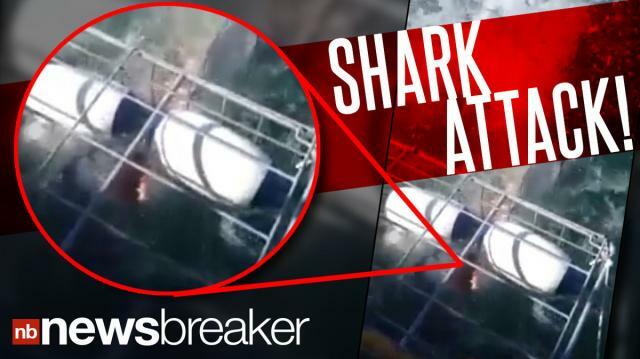 More from Ora: Doomed Charter Bus "Cited Repeatedly"
A shark diving expedition off South Africa showed why the cage is necessary when a great white shark stuck its head between the bar. YouTuber Bryan Plummer posted the 30-second video of the incident, noting that one of the divers was married only the day before — a union that could have easily ended in the gaping mouth of the huge shark. Host @DavidBegnaud delivers breaking news and today's trending buzz in 45 seconds.